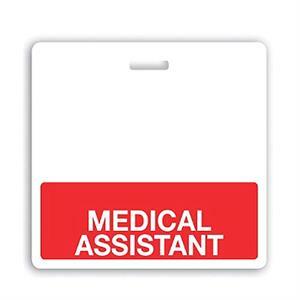 Your medical assistants perform several tasks on a daily basis. From taking vital signs to discussing medical histories, medical assistants interact with your patients as much as any member of your staff. 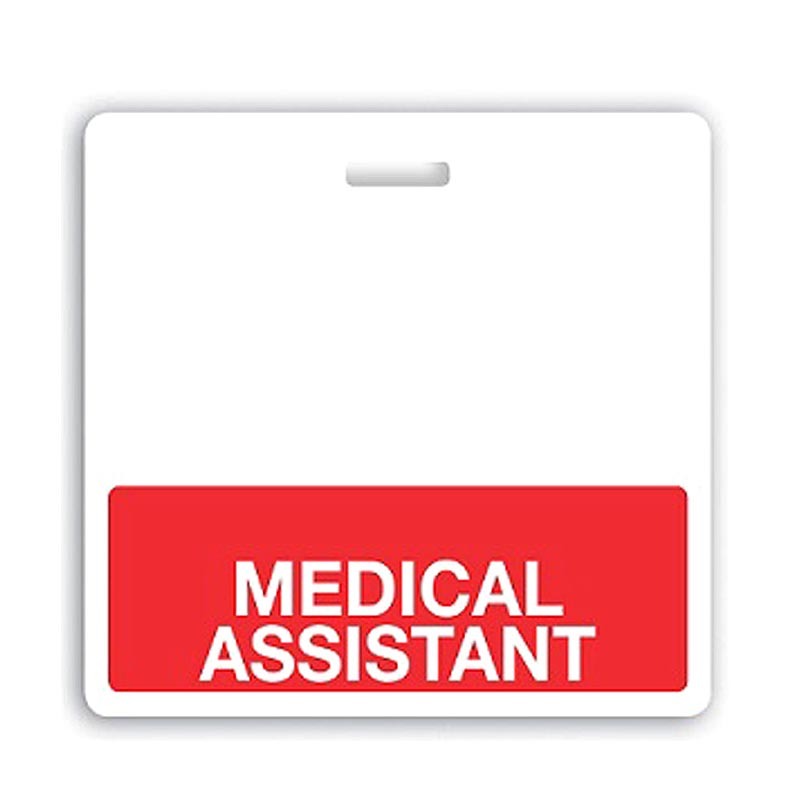 For that reason, it's important that your medical assistants be clearly identifiable. The simplest solution? Badge Buddies! Badge Buddies are Synthetic Paper role-recognition cards designed to hang behind an existing ID credential. They use a slot that allows the Badge Buddy to attach to the card with a strap clip, badge reel or lanyard. The goal of Badge Buddies is to provide easy role recognition, at a quick glance. Role-recognition cards allow your patients to know quickly who is providing care, eliminating the anxiety that can come with patient-staff interactions.